Of Mulch, Top Soil, Stone, or Gravel delivered to your property? 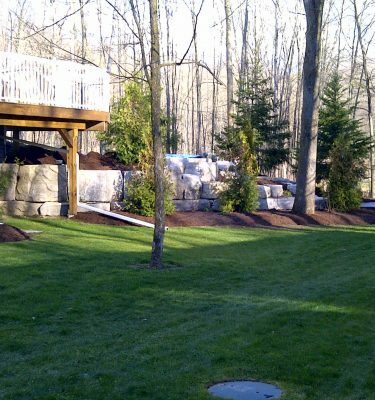 Perhaps your landscape covers a large area, or you just want to know how we compare for orders of 20 cubic yards or more. We’re glad to send you a quote for any of our aggregate materials, soil, mulch, and stone, delivered to your location. **We price our materials at or below the local landscape supply depot so there’s not a lot of room for discounts but we’ll definitely do our best to *MATCH your local depot’s Price! 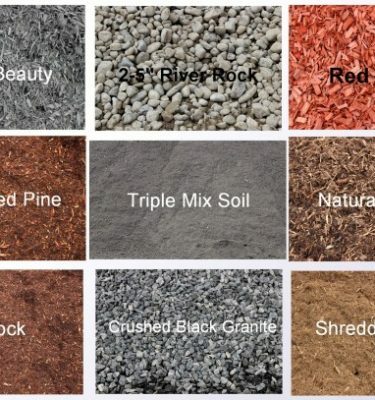 Just show us a VALID quote from them for bulk mulch, stone, aggregate materials Top Soil, or Triple Mix WITH delivery and we’ll *MATCH IT* if we can. **Special contractor rates, seasonal offers, coupons or special offers may not qualify for price matching. Tell us what you’re looking for, how much, when you need it, and especially if you need help getting it where it needs to go. We’re NOT like the other Mulch Yards around. We have the EQUIPMENT, and the labour to help you get that material where you want it. All for a reasonable rate. Please fill out this form completely, and we’ll have a price to you as soon as we can! Need a couple of truck loads of gravel or top soil? Maybe a specimen armour stone or a flat bed trailer of it for a retaining wall. We can help with that. Tell us where you'll take delivery of the materials. Please include a number where we can reach you. Please tell us What Material, How much, and when you'd like it delivered Please be as specific is you can: cubic yards, tons, square feet of each material. Please let us know if you need installation services, too.